In August it was Susan’s turn and her colour choices were white/blue, white/red or a combination of both. I opted for two white/blue and one white/red block. Finding blue fabrics in my stash is no problem, I love blue. However, I don’t use red very often as I find it can easily dominate over other colours in a quilt and as a result I don’t have a lot of reds in my stash. 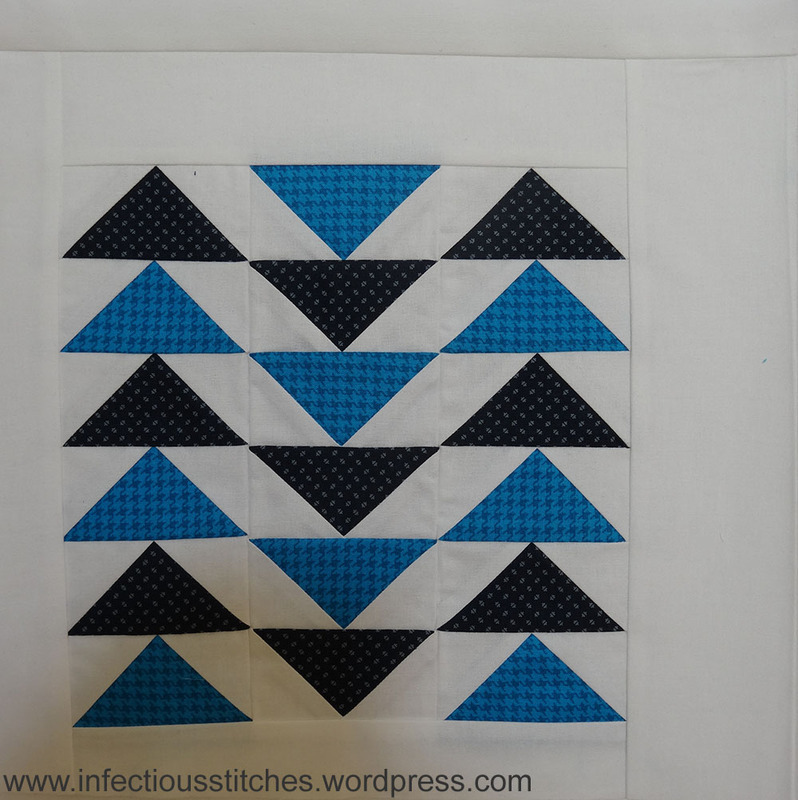 For my first block I started by making flying geese units and sewed them into three strips with alternating light and dark blue triangles. The strips were pieced together to make a block and white fabric was added around it to create an off-set look. For my second block I pieced some light and dark blue fabrics into short strips and started playing on my design wall. 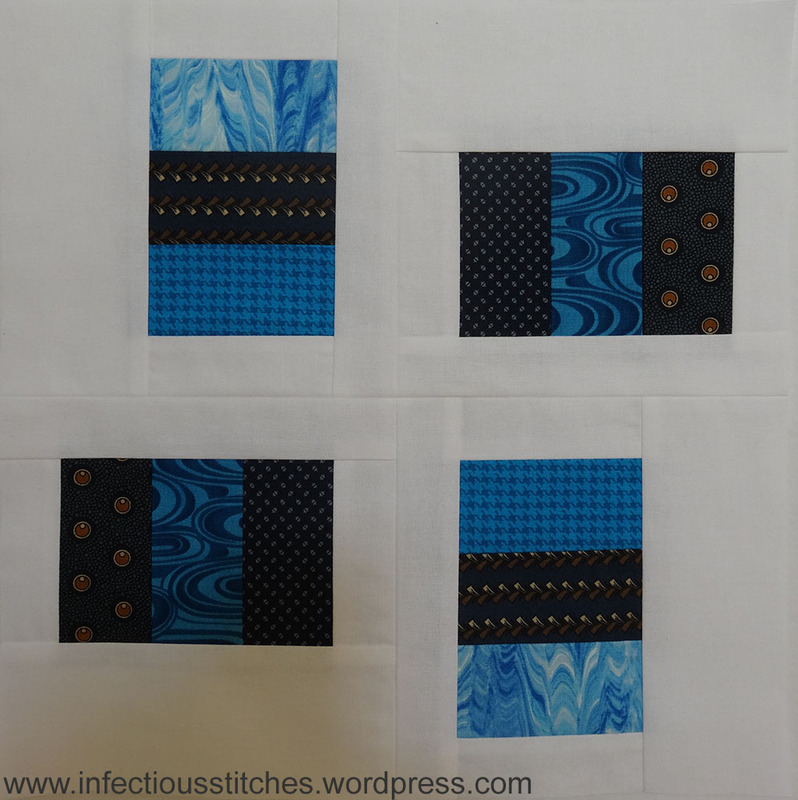 This is the layout that I came up with and I added white fabric to fill in the gaps between the strips and the edges. It reminds me of a windmill. This is my favourite of the three. I was starting to run out of time, so for my last block I decided to do another log cabin as these are fairly quick to assemble. Instead of a wonky one I made a rectangular log cabin in a square, if that makes any sense? I think it is quite striking. The blocks that were made by the other participants can be found on the F2F page, scroll down until you reach August. This entry was posted in F2F, Quilting, Sewing and tagged F2F, quiltblocks, quilting, sewing. 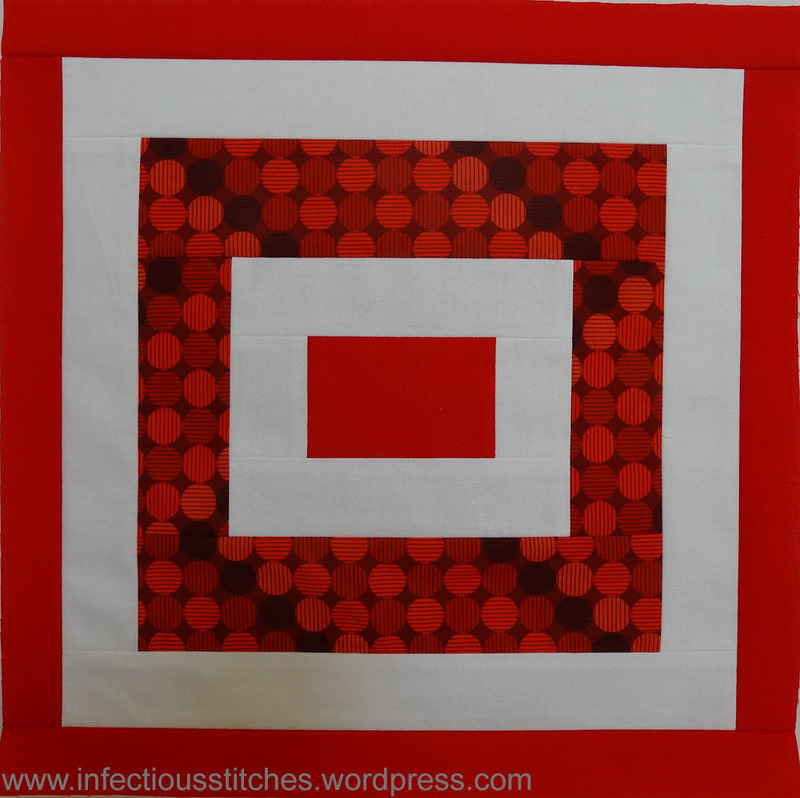 I love the red block, personally, great choice of layout and fabrics! And the latest ones you’ve sent (which I’ll put on the F2F page shortly) are gorgeous! Thank you. You may even recognize some of the blue fabrics I used since they also made it into your Worldwide Friends quilt. I thought it fun to use them for this swap as well. Look at them as a test run, and make some more for yourself! I did recognise the dark blues you used – I particularly like the one with the round tan dot in the pattern. I can’t wait to see what kind of blocks I’ll receive. I’m hoping people will be tempted to try some non-traditional piecing for my month. I’ll have to remember to do some free piecing for you when it’s your turn. I’ve done it before, I bet I can do it again! Thank you! I’m mailing your blocks today! I suppose it will take at least a week before they reach you. If you want to try anything crazy just do it in January, I’m sure I’ll appreciate it. I usually like things that are somewhat unusual.